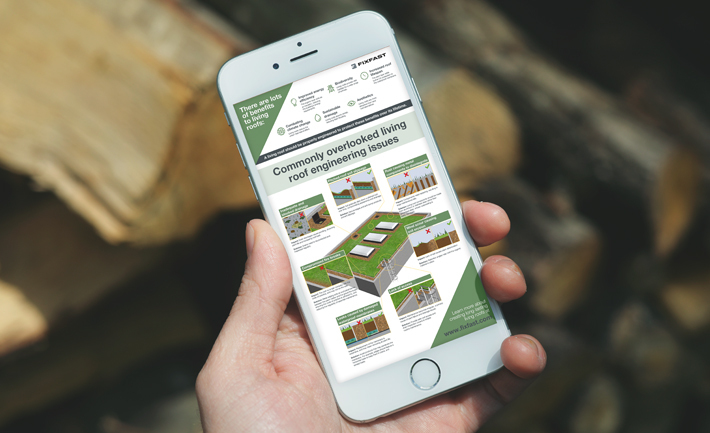 Chapter One Communications got in touch after finding my infographic work online. 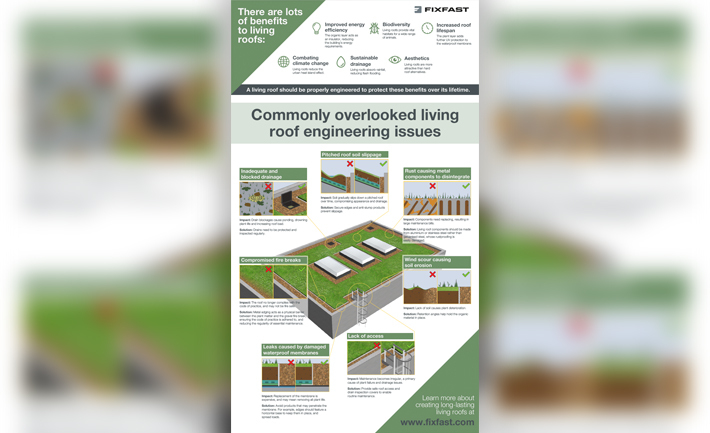 Their client, Fixfast, were looking to produce an infographic showcasing the commonly overlooked engineering issues when it comes to living roofs. 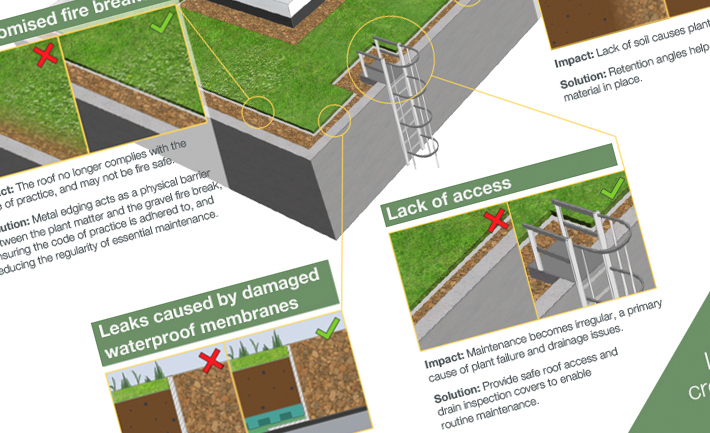 I created the roof in 3D then illustrated the different issue boxes separately. 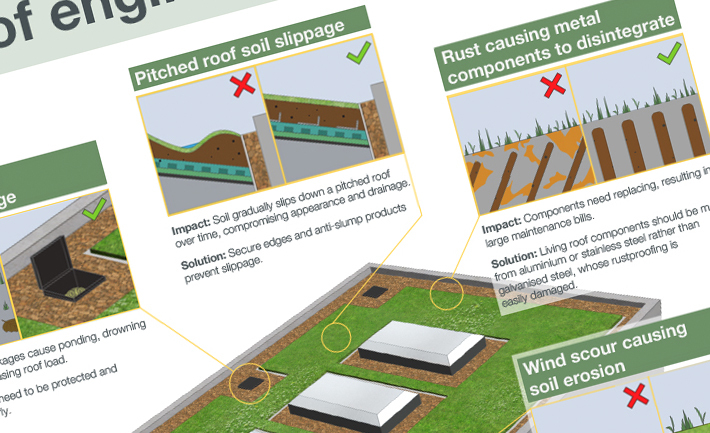 This infographic is now in use on the Fixfast website as well as in their new print brochures.